AUSTIN, TEXAS--(Marketwired - Nov 17, 2016) - Shelfbucks Inc., the leading in-store shopper marketing optimization platform for consumer packaged goods (CPG) suppliers and retail stores, today announced it has appointed marketing veteran Will Phillips as executive vice president of sales and customer success. Mr. Phillips comes to Shelfbucks with more than 30 years of experience in multiple disciplines of product and retail marketing, with particular expertise in driving customer engagement and increasing product sales through behavior-based marketing, including campaigns driven by interactive in-store merchandising technologies. Prior to joining Shelfbucks, Mr. Phillips served for more than eight years as national retail insights director for Menasha Packaging, the industry's largest independent, retail-focused packaging and merchandising solutions provider. In that position, he was responsible for improving in-store merchandising performance for many of the country's largest CPG brands and retail operators. Mr. Phillips also helped drive integration of the Shelfbucks platform into Menasha customers' POP displays, creating the industry's first in-store SmartDisplays™. He also served for more than 16 years with Catalina Marketing, most recently as the senior vice president of channel strategy and development. In that position, Mr. Phillips developed and executed the strategic business plan that extended Catalina Marketing's in-store consumer promotional network beyond supermarkets and into alternative trade channels, including chain drug and mass market retailers. "Will Phillips has an extraordinary depth of experience helping top brands and retailers build strong customer relationships and increase product sales through marketing campaigns that perform at the highest possible levels," said Erik McMillan, founder and CEO of Shelfbucks. "He has worked with our SmartDisplay™ platform from the beginning and is uniquely qualified to help brands and retailers accurately measure and improve the performance of their in-store campaigns. We will also value Will's expertise in expanding our sales organization and managing our growing partnerships with brands, retailers and POP display manufacturers," he added. CPG and retail customers incorporate the Shelfbucks platform into POP merchandising programs, enabling real-time, measurable data on when and where displays are installed within retail stores. Shelfbucks provides detailed reports about performance against marketing goals, enabling brands to optimize their campaigns to maximize sales. Shoppers browsing a product area can also easily interact with Shelfbucks-enabled merchandising materials using their smartphones to immediately access product content, promotional offers, ratings and reviews, and other relevant product or category information. Mr. Phillips' experience also includes senior executive positions in sales and marketing for CPG manufacturers and retailers. 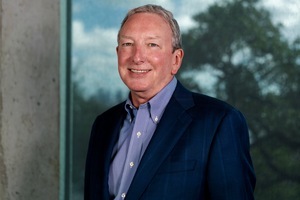 He served as senior vice president of sales for Goliath Solutions, an early pioneer of technology-based in-store marketing measurement; managing partner of the consulting firm Toccoa Ventures; president of U.S. operations for Sagarmatha USA; executive vice president of sales and marketing for Display Edge Technology; held multiple marketing support roles at The Coca-Cola Company. Mr. Phillips holds a Bachelor of Business Administration degree in Marketing from the University of Texas at Austin. Shelfbucks is the leading in-store shopper marketing optimization platform, enabling retail and CPG brand customers to realize additional revenue and brand equity from in-store marketing programs with insights that lead to better merchandising decisions, and new personalized shopper experiences that lead to increased sales per visit. Additional information on Shelfbucks is available at www.shelfbucks.com. Watch industry leaders speak on digital coming to the in-store experience @ www.shelfbucks.com/faqs. SmartShelf™ and SmartDisplay™ are trademarks of Shelfbucks Inc.